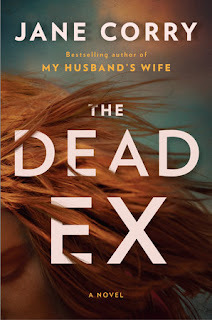 Featured at My Book, The Movie: The Dead Ex: A Novel by Jane Corry. Last year, My Husband’s Wife (my first book for Penguin) was optioned for television by Big Talk and Mr Mudd. So exciting! When I write, I always see the plot and characters visually, rather like a film. Lots of readers have contacted me, saying they’d love to see The Dead Ex on screen. I do hope that will happen one day! If it does, I’d love the following characters to play the leads. However, I should add a note here to say that I’m more familiar with actors of my generation than the younger ones. So I have taken that into account as you will see from below! Vicki, the aromatherapist with a dark past: Nicole Kidman. She would give Vicki that vital combination of edginess and vulnerability. Follow Jane Corry on Twitter and Facebook. My Book, The Movie: My Husband's Wife. The Page 69 Test: My Husband's Wife. The Page 69 Test: Blood Sisters. My Book, The Movie: Blood Sisters. The Page 69 Test: The Dead Ex. My Book, The Movie: The Dead Ex.